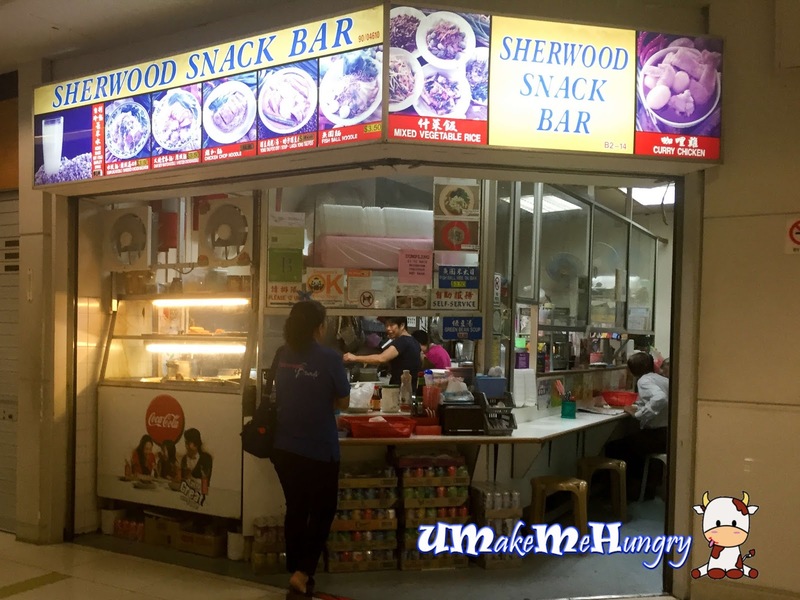 We chanced upon Sherwood Snack Bar when we visited the Supermarket in Bukit Timah Plaza sometimes back. Usually in the evenings when we were there for grocery shopping, Sherwood Snack bar would have their food sold out and we could still see the helpers are still busying in the kitchen washing up, marinating the meat, preparing for the next day. The snack bar sells more than just snacks. In fact, it is a family style cafe (kind of Hong Kong Style to me), where diners can get to sit at the counter for food and the dining area perhaps can only cater up to 10 customers. They offer food ranging from Economical Rice to noodles and a one stop coffeeshop where you can enjoy your traditional cup of Kopi-O too. Having ordered their dumplings noodle, I was stunned by the kind of standard that I'm receiving. Texture of the noodles were springy and what's more, the kind of noodles were thinner. Adding $1 of mushrooms to the delicious plate of home taste noodles was not a bad choice either. Slices of mushrooms were fragrant and from its rich taste, it told us that the mushrooms had been braised for a long time and had well absorbed the gravy. Besides having good impression on the noodles and mushrooms, the shrimp dumplings are also another noteworthy items to talk about. Shrimps were fresh and generous too! Chicken Cutlet Noodle on the other hand was scrumptious! Deep Fried Cutlet may not be piping hot from the oil wok but its crispy texture had my appetite! Really hope to revisit them again!